2020 Fisher Scientific Digestor Unit BD-20 Tube Block Fume Removal System . New Life Scientific, Inc. Please note that this product ships in two boxes and will require a custom shipping price quote. This Digestion Unit is in fair condition with some corrosion and was tested by New Life Scientific technicians. The corrosion throughout the main unit makes the top panel loose. All the glass tubes are in good condition. 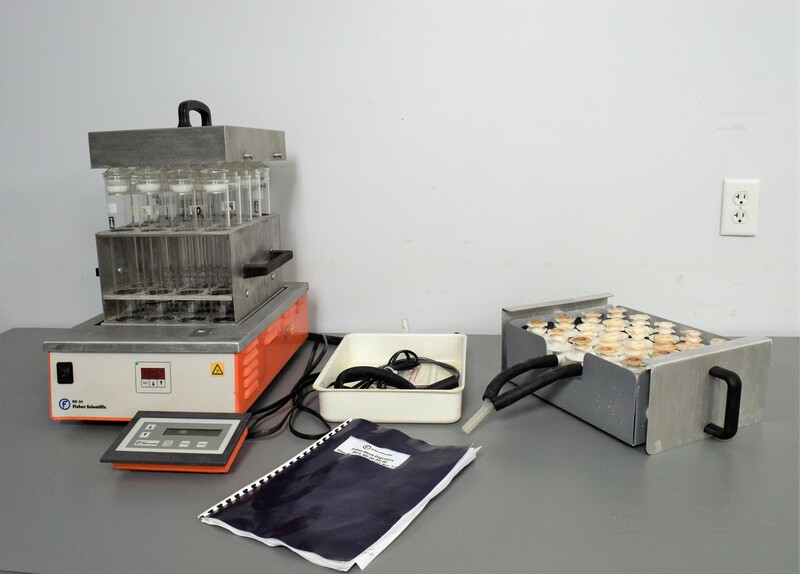 Our in-house technician inspected and tested this digestion unit, confirming it to heat as indicated and be in good working condition.